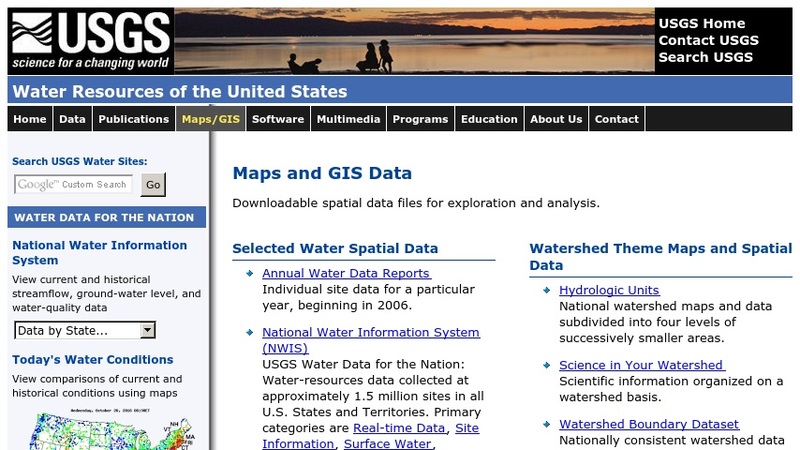 This portal, sponsored by the United States Geological Survey (USGS), provides access to maps and Geographic Information Systems (GIS) datasets for water resources in the United States. There is an extensive selection of datasets on irrigation, groundwater resources and issues, surficial and subsurface geology, hydrology, water contaminants, stream flow, and many other topics. There are also links to the Geospatial Data Clearinghouse, the EarthExplorer Landsat imagery site, the National Map Seamless Server, and other mapping and data download sites.